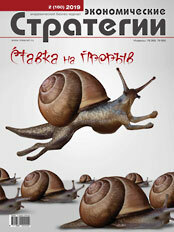 The article dwells on normalization of bilateral relations between Russia and Georgia. Developing ways of economic cooperation within international projects, as well as implementation of joint projects will allow to establish relations between two countries. The article dwells on the possibilities and prospects of Azerbaijan in the current difficult political and economic situation in the world and the country. Removing sanctions from Iran, tension in Russian-Turkish relations, oil prices decline, escalation of Karabakh conflict — how these and other factors will affect the economy of one of the most developed countries of the Transcaucasus.